Interested in saving your organization time & money? Yes, probably so. We all are! What is the best way to go about this? A Managed Service Provider (MSP) program helps an organization alleviate the manual burden of activating and maintaining a temporary workforce. Organizations and agencies experience significant cost savings when temporary labor processes are automated and optimized to support the prioritization of pressing business needs. You can reduce administrative costs, enhance efficiencies, streamline operations, and provide improved governance just by utilizing a Managed Service Provider. You can also gain some of your time back by allowing a MSP to manage the vendor community for you, ensure organizational compliance, and provide quality candidates to fit your specific needs. We’ve nailed down three of the best ways we think you can save time and money by partnering with an MSP. Keep in mind there a multitude of benefits past what we’ve mentioned here if you’d like to explore them further in your research. You need the pressures of finding the best possible candidate for the job eliminated. Like yesterday. When you dedicate time to searching for, selecting, interviewing, hiring and training new employees, you quickly realize the substantial cost businesses face with employee turnover. 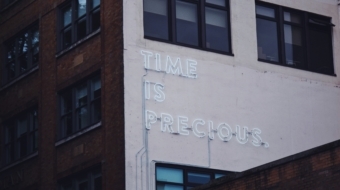 And not only that, you sacrifice your own time and energy that could have been better spent accomplishing your business goals and initiatives. To reduce employee turnover, it’s important to have the right processes in place to hire the best people. Unfortunately, this places a heavy burden on organizations. MSP programs partner with your company to evaluate and fully understand what kinds of candidates you need and your industry. Once that is understood, a dedicated MSP team introduces the position to a number of expert staffing vendors who compete to find the perfect person for the specified role. Additionally, the MSP team qualifies and screens candidates for you to find the best fit for the position. This helps you find better quality candidates more quickly and without the hassle of going through the motions yourself. Perhaps your organization already has a group of vendors in place to help you find quality candidates. When dealing with a variety of vendors, you have to carefully and consistently manage separate contracts and/or pricing structures for each vendor and, on top of that, continuously nurture those relationships to ensure a successful partnership. Finding the right vendors to work with, managing the paperwork and price structures for each, and nurturing the relationships to ensure success can be burdensome. That is why it is important to utilize a vendor-neutral MSP program. A vendor-neutral managed service provider allows vendors to become trusted partners. A true MSP manages the staffing vendors and makes sure you are paying the right price for the best candidates. Unique access for both hiring managers and vendor partners to local and regional market pricing information ensures an effective balance between resource quality and price. Through open competition, vendors remain dedicated and are assured equal and fair access to business opportunities, which makes them committed to finding the right person to fill your open positions. “I have infinite stacks of papers on my desk.” Does this sound familiar? When you manage your organization’s temporary workforce manually, you might find more headaches than qualified candidates while sifting through paperwork. Since we’re all human, manually managing temporary workers can be fraught with errors and inaccuracies. A full service workforce management solution manages vendor contracts, qualifies temporary position openings, and interviews candidates to ensure they are a great fit for your company. They also onboard new hires once they’ve accepted the position. These efficient processes streamline and strengthen your operations, saving you valuable time and delivering a higher quality temporary workforce. Saving time and money allows companies to spend more time on other projects while investing monetary resources back into the organization. Sounds like a win to us! We believe in innovation, challenging the status quo, and exist to make a difference. Continue exploring how a. MSP can help you and your organization. Next Our Staffing and Recruiting Resume Prev What is a SaaS Cloud-based Solution?